Pirolli Park Campground Party Store is open 364 days a year. 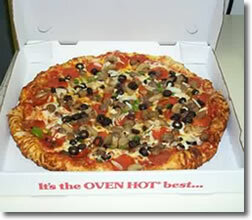 Our Deli offers Fresh Hand Tossed Pizza made with our own authentic Homemade Pizza Sauce. We pack our Store & Deli with Breakfast, Lunch & Dinner items. You can choose who is making the meals that day! 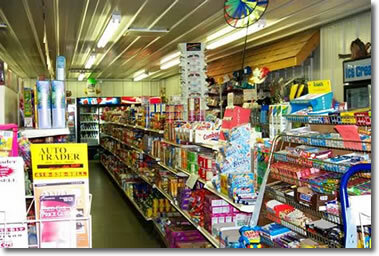 We also have a large selection of beer, wine, liquor, pop and other groceries. Ours Store is open 364 days a year and our prices are always reasonable. Check out our Menu to see some of our other carry out foods. Our delicious pizza's are a treat any time of the year!